It's been a long time since ECS introduced interesting products. While the company occasionally makes competitive solutions for the AMD platform for which motherboards are cheaper on average, they mainly release unremarkable low-end products for the Intel platform. 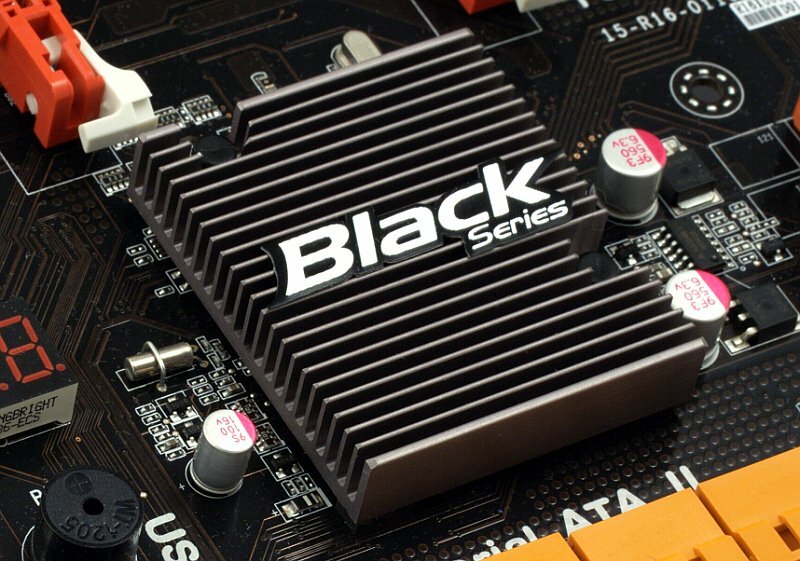 Even the Black Series, initially created for original models, now de facto consists of regular value motherboards that only differ by black PCBs, onboard interfaces and box design. For reasons stated above we probably shouldn't expect much from ECS P55H-A. On the other hand, who cares about manufacturer profitability and ambitions while it produces quality, adequately priced solutions with decent features. Inexpensive models are the bulk of sales after all. Let's see whether ECS P55H-A is attractive enough. 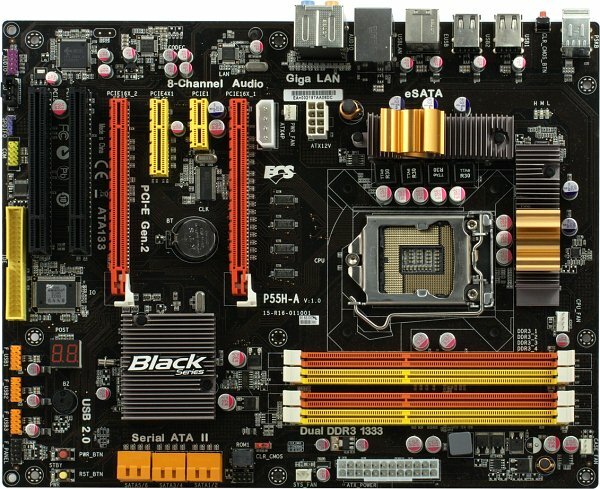 ECS P55H-A isn't overloaded with functional elements, but the layout has a few quirks related to motherboard installation. Firstly, given there are no auxillary controllers and ports, the IDE connector should've been placed closer to its traditional location instead of the far edge of the PCB. This made connecting optical drives more difficult, especially if you have a high tower enclosure. 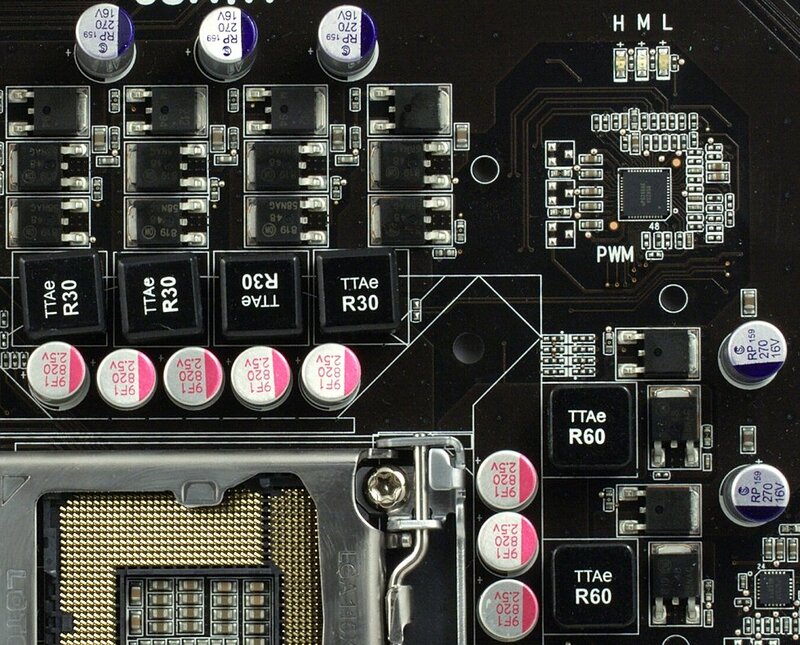 Secondly, placing CPU power connector in the center of the motherboard isn't very reasonable, because power cable will most likely get inside CPU cooler heatsink fins. ECS P55H-A features two PCI slots (one of which may be obstructed by the cooler of the second graphics card), two PCIe x16 slots standard for a P55-based motherboard (with two graphics cards these work as x8+x8). Finally, few peripheral controllers provide enough PCI lanes for a PCIe x4 slot. The motherboard doesn't support SLI, so if you want to use two graphics cards, you're limited to Radeon products. Secondary features also include a COM port bracket, but there's no floppy drive support. The CPU VRM features 4+2 lanes (4 for the CPU core and 2 for uncore logic, memory controller included). Still, core power circuitry features three MOSFETs per lane, so moderate overclocking shouldn't cause any issues with current or heat. Besides, ECS P55H-A only features polymer capacitors and ferrite chokes. CPU power management circuitry features inexpensive PWM controllers from uPI Semiconductor. One of those supports real-time indication, so there are three LEDs (H-M-L) near the CPU socket. When the PWM controller disables inactive lanes, it also disables corresponding LEDs. This feature is of little practical use, but everything's the way it's supposed to be. ECS doesn't offer any proprietary tools to provide similar indication on display along with calculating power savings in standby, also converted into CO2 emissions. So there's some leeway for green features. The cooling system is completely adequate and generally nice. The 5W chipset, as well as the CPU VRM with its sufficient MOSFETs, do not requite serious cooling, so the heatsinks used are semi-decorative and also compact, letting you install long expansion cards and large CPU coolers. Metallic curls which symbolize dragons add certain elegance. However, all the heatsinks are fixed by plastic latches instead of metal screws. This is a serious drawback, if you plan on removing them from time to time. On the other hand, not many people will want to seriously overclock ECS P55H-A, so there are no reasons to mess with the proprietary cooling system at all. Especially that the heatsinks get only a bit warm. 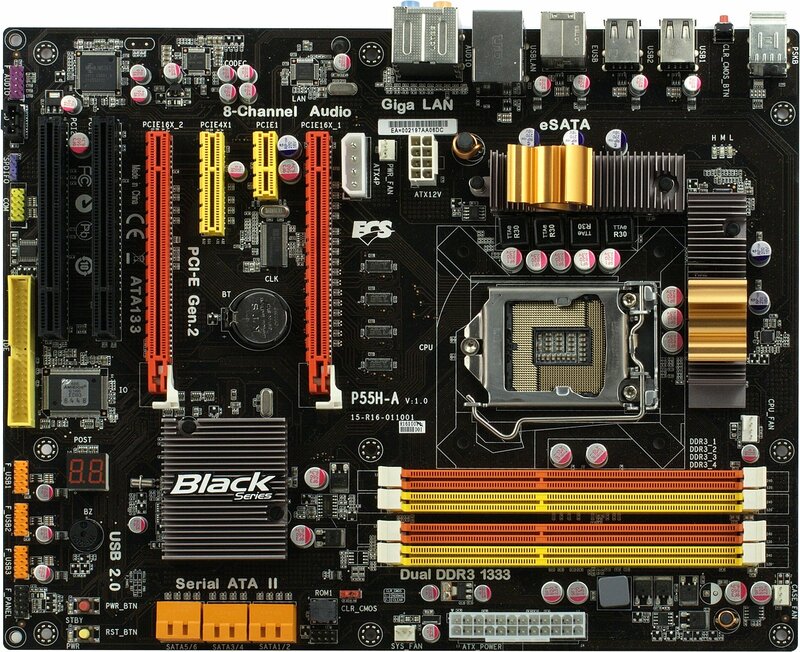 So far we haven't seen any features distinguishing the motherboard among regular value products. A few bonuses include on/off and reset buttons on the PCB, a CMOS reset button on the back panel, and a POST code indicator. But these don't seem too significant. 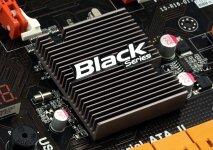 ECS doesn't provide any proprietary software, except for tools for downloading and upgrading BIOS and drivers. This isn't a serious drawback, because there are enough third-party utilities for system monitoring, fan control and overclocking. One feature ECS does provide is eJIFFY, a kind of Linux-based mini-OS you can quickly load instead of booting to the primary operating system. eJIFFY has fewer features than counterparts like Express Gate, Winky, etc., and it's inconvenient to install. eJIFFY requires a separate HDD partition, but there's only a Windows installer, meaning you'll have to install Windows first and set up the mini-OS later. A DVD installer would've been more reasonable.